2nd Edition 2016. With a whole new generation making a Tree Change, the majority who have very little experience or a family history of farming, SMALL CATTLE FOR SMALL FARMS is the essential handbook for this growing market to help make that transition. Now in its second print! Margo Hayes, who came from a rural background, offers a succinct laypersons guide to the basics of raising small cattle and brings a wealth of practical hands on experience that also includes lots of little tips that you won’t find written down elsewhere. The book’s format is unique in that it actually answers real questions asked by Margo’s clients over the years. Margo has developed Vitulus Ausline and Lowline Stud into one of the nations most successful exhibitors both in the Royal show ring and more recently in the carcass arena winning Grand Champion Carcass at the Royal Brisbane Show 2007 & 2009, being a finalist in the Delicious Produce Awards and a Silver Medal Winner at the Royal Sydney Show branded beef competition. 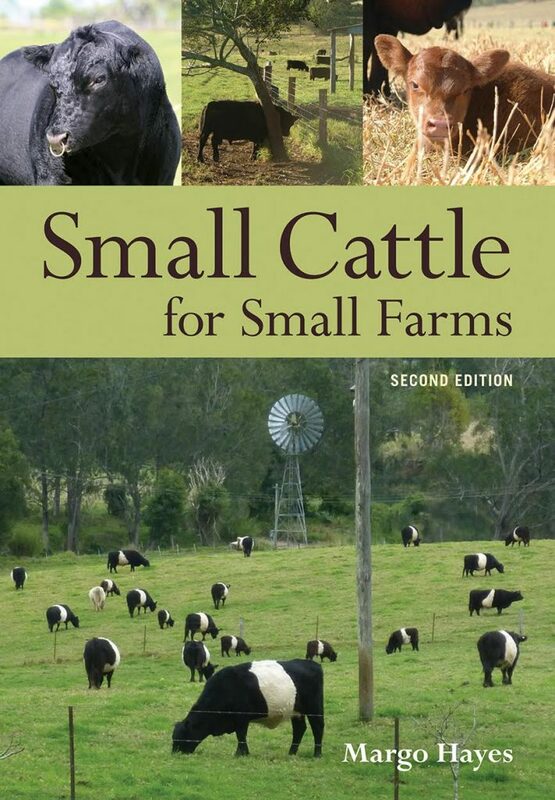 SMALL CATTLE FOR SMALL FARMS details what breeds are available and explains as simply as possible the basics of selecting stock, along with feeding, shelter, and husbandry guidelines. The book also covers animal behaviour, breeding and calving, nutrition, identification methods, showing, marketing, government regulations as well as some essential tips for those wanting to produce quality beef. Recommended Retail Price $49.95 plus postage and $10 handling (P&H). Published by CSIRO. 2nd Edition Released 2016. You can make payment here.